This is the season in my life where being a homemaker is one of my priorities. Yes, I miss dressing up to go to work, or the cubicle which had piles of paper that I wanted to burn instead of file, or organizing events here and there. But for now, I am where I need to be. I love being a homemaker. Most of the time, I enjoy taking care of our little home. Except for some house chores that I wished I didn't need to do. Right after we got married, Jed and I moved to our own apartment. A year later, we found ourselves in Cebu. And now we are here in Bangkok. And I can say our "home" gets better every time we move. I am a homebody. I do stay in our house most of the time. If I would go out once or twice during the weekday, I'm perfectly okay. Well, weekends are a different story. I don't mind doing the house chores. My mother raised us without a stay-in house help. And I got used to a life exactly like that. I particularly love the apartment we are living now. We still have several improvements to do. We badly need to decorate the place. We still have bare walls. We do not have an area rug or cushion pillows for the couch. We have to do it gradually as it tends to get expensive. There are challenging times especially as I am taking care of our toddler, too. As much as I want to focus on solely being a homemaker I can't. I have a little boy who messes everything up. In a good way. Because of the internet and the rise of bloggers, there are an awful lot of resources on home management. It's overwhelming. When the little boy is napping, I would be browsing on these websites looking for ideas how to organize our home, recipes to cook, techniques for cleaning the house, tips on how to do the perfect wash. I'm truly channeling Martha Stewart. I aim to become a better homemaker. Perhaps the Proverbs 31 superwoman? After three years of being Jed's homemaker and I am still a work in progress. Being far from one's own country makes one homesick. While I haven't really missed the Philippines yet, I, of course miss my family and closest friends. I wish we are all here in Bangkok. Does it sound like I don't want to go home? Living in Cebu has been great training for our move here. I have learned to manage my expectations. I braced myself the first time I went to the supermarket and saw all these unfamiliar brands in Thai characters. The upside of not understanding Thai is the decrease in my purchase of processed products. I opt not to buy items which packaging I can't read. I have to know what the ingredients are. I have to be careful as I am feeding a toddler. I have conditioned myself to use whatever is available in the market. I wouldn't want to have to visit the Philippines and come back with cans of Purefoods Corned Beef or packs of Lucky Me Pancit Canton in our suitcases. Nor would I want to bother visitors (especially people I hardly know) from home with a long list of all my "pabilin." That is a no-no for me. 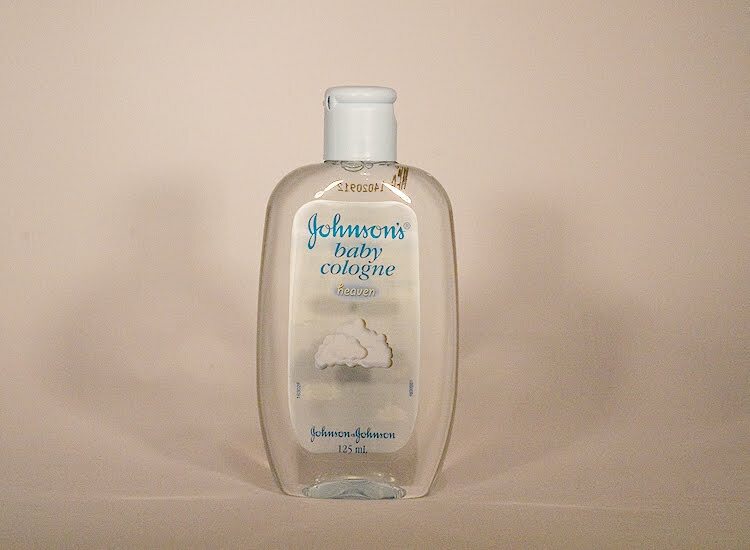 I panicked during our first month when I couldn't find isopropyl or ethyl alcohol. Now I know what they look like and can buy them in Boots (Thailand's version of Mercury Drug). I searched all over for the refill's of Javi's Playtex Drop-Ins for his feeding bottle. I gave up upon learning Playtex products are not being distributed in Thailand. The feeding bottles we have should be fine plus we will be weaning him from his bottle pretty soon. Cheese are surprisingly expensive over here. Because they are all imported. And who'd have thought that a can of Lysol Disinfectant Spray would cost 540 baht (or approximately 18USD or 775 Philippine pesos)?? These are the reasons why I can't seem to bring down our monthly budget for groceries. Of course, I keep a list of goodies I miss from home. I may have found a substitute or I'm stretching my supplies here until I finally make that trip to the Philippines or my kind-hearted family members who are visiting this May will bring some over. My list is not long. I can survive without them but it's nice to have them once in a while. My FB status is effective. Friends have been sending me sachets of my favorite coffee. 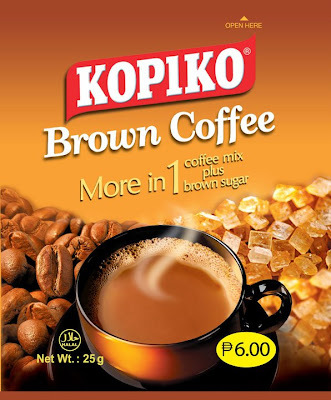 And to think, Kopiko is Indonesian brand, not proudly Filipino. 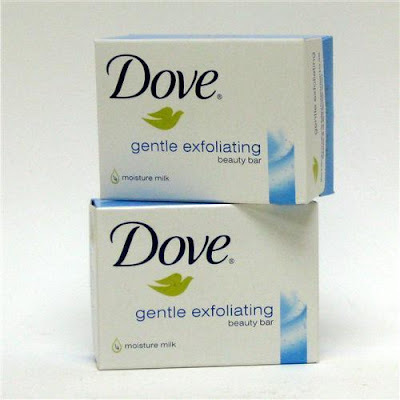 I was a Dove Baby back in the Philippines. 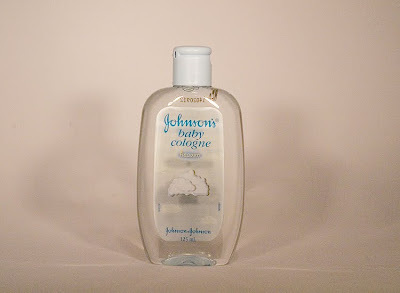 Yes, who would've thought this is my everyday cologne. Now this is for my little boy, and I'm doing what I can for my last bottle to last until my family comes over in May. Wherever you are in the world, there is always something you miss from your home country. 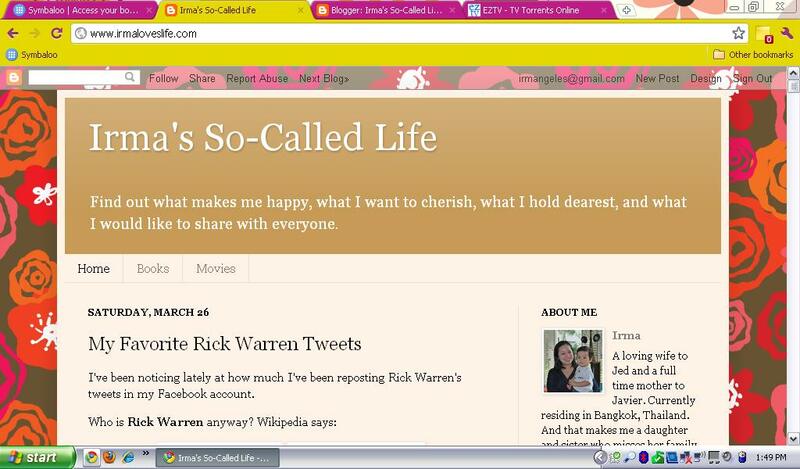 I've been noticing lately at how much I've been reposting Rick Warren's tweets in my Facebook account. Richard Duane "Rick" Warren (born January 28, 1954) is an American evangelical Christian minister and author. He is the founder and senior pastor of Saddleback Church, an evangelical megachurch located in Lake Forest, California, currently the eighth-largest church in the United States (this ranking includes multi-site churches). He is also a bestselling author of many Christian books, including his guide to church ministry and evangelism, The Purpose Driven Church, which has spawned a series of conferences on Christian ministry and evangelism. 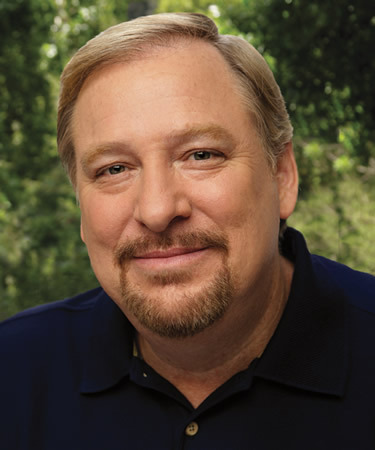 He is perhaps best known for the subsequent devotional, The Purpose Driven Life, which has sold over 30 million copies, making Warren a New York Times bestselling author. I very well remember in 2003, the best-selling book then was The Purpose Driven Life. Most people I know had been reading that book then. Catholics love it. Jed, who I just started dating was reading it, too. Of course, I had to read it, and I did. However, I didn't understand Pastor Rick's principles at that time. The book did not have that much impact on my life then. Fast forward to the Twitter age. 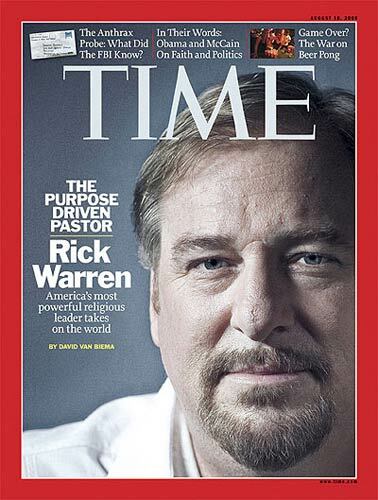 I would often find tweets from Rick Warren being retweeted. Each retweet from Rick Warren caught my eye which prompted me to follow him. And I discovered what a brilliant man of God he is. I guess what caught my attention was that he is brutally honest. And here is where I would share my favorite tweets from Pastor Rick. I know you will enjoy reading as much as I did and that you will learn from them. The blessings God places in your hands are determined by what you are willing to let go of first. Anything that costs your integrity is too expensive.You can't afford it. TWIST-God grant me the serenity 2accept the PEOPLE I cant change,the courage 2change the ONE I can &the wisdom 2know it's ME! Perfectionism paraylzes potential & promotes procrastination.Eccl. 11:4 "If u wait for perfect conditions,u'll never get anything done." The most common way Jesus comes into our lives is through a broken heart. It's stupid to let people from your past continue to hurt u today thru memory. They can't hurt u anymore unless u allow it. If you dont know WHY you do something, you shouldnt do it. Life is too short to waste. It takes no faith to trust God when He is obviously moving. Real faith is holding on & believing when God SEEMS absent. To say "I forgive you, but I won't forget it" just means "I don't forgive you"
Refusing to forgive yourself for what God's forgiven insults Jesus, implying what He did on the Cross wasnt enough for you. Optimism is psychological;hope is theological.Optimism focuses on what you think you can do.Hope trusts in what God can do. You're never too important to wash dishes, do laundry & change diapers. Humility gives you the ability to put up with people you'd could easily put down. If someone is full of bitterness&hate, no amt of logic will change their mind.Absorb their hurt,love,forgive&pray for them. The longer you hold on to resentment,the more your past hurts keep hurting you. That’s just stupid. "KEEP AWAY from angry people or u will learn to be like them & endanger your soul" Pr.22:24-25 Who do u read & listen to? Love isnt letting people do whatever they want. That's often cowardice or apathy. Love cares enough to tell the truth. Anytime you're tempted to criticize your spouse's judgment, remember they picked you! Marriage doesn't create self-centeredness & immaturity; it reveals it. Why should God give u a financial miracle if u havent stopped making poor choices that will create another crisis of debt? Materialism is buying things you dont need, with money you dont have, to impress people you dont even like. I dont have to OWN it to ENJOY it.-This simple truth prevents debt, enables savings & avoids the cost of upkeep. Raising kids with strong character requires doing less FOR them and teaching them to do more for themselves. Everything you do today can be "spending time with God" if you TALK to him WHILE doing it & TRUST him to HELP you do it. The greatest use of your words is prayer. Talk to God about EVERYTHING, all the time. Maintain a running conversation. God sometimes removes a person from your life for your protection. Don't run after them. Anytime you expect anyone to meet needs in your life that only God can meet, it's unfair to them & disappointing to you. If you only love those who agree with you, your circle of love will exclude most of the world. It's EASY to love people like yourself. But for God to teach u REAL love, He must bring unlovely people into your life. God gives u enough time to do His Will. If u can't get it all done-ur doing stuff out of His Will or doing it a wrong way. Never let an impossible situation intimidate you. Let it motivate you - to pray more, trust more, be more creative. You havent really trusted God until you've attempted something that cant be done on your own power. If U prayed as much as U worry, U'd have less to worry about. Don't panic,pray. Don't worry,worship. Don't tremble,trust. By listening to Saddleback Church's podcasts (both Saddleback Church Weekend Services and Drivetime Devotions Audio Podcast), I am learning more about the Bible, the verses, messages, and its application to present life. I also subscribed to the Purpose Driven Connection Daily Devotional. You may view the devotional archive here. Tonight, I am excited to start rereading The Purpose Driven Life. I will share what I learn when I finished. This Small Change chapter could not have been more suitable for me. I literally live by schedules. When Jed and I were still dating, I drove him crazy with how much we need to stick with the schedule I came up. I not only live by schedule, I also have the discipline to follow the schedule. I am so pleased to learn I am on the right track. My main reason for creating schedules ever since I can remember is to maximize the use of my time. 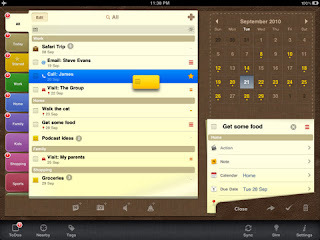 I keep a schedule of what I need to do so I won't miss a single chore, task or event. The reason why I work extra hard to keep my schedule so I would have time to do the things I want - like relaxing. Now that I have a husband and child, it is more difficult to come up with a schedule and keep it. I am overwhelmed with the amount of tasks, chores, etc that I need to do. In creating my schedule now, I need to work around the priorities I identified in an earlier entry. I pretty much keep a weekly schedule - there is a day for laundry, picking out the groceries, grooming, cleaning, blogging, admin, menu planning. If you are very keen, you would notice I write new entries every Wednesday evening. 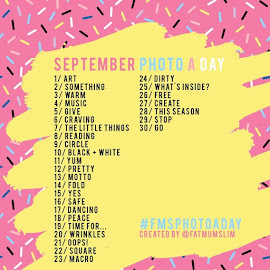 Wednesday is my blogging day. I still have to sort a monthly schedule which will incorporate house chores, admin stuff, Jed and Javi's schedule. There are hundreds of templates on the internet, I just need to create my own version of a daily, weekly, monthly, quarterly and yearly schedule. Let's start with the easiest, a daily schedule. 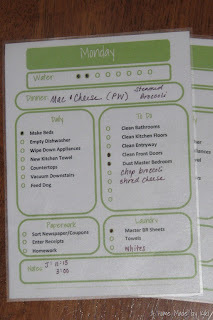 I love this daily schedule created by Kristina of A Home Made By Kiki. I will come up with an entry with links of blogs which had help me come up with my own schedule, labels, tags, note cards, and other printable. Following a schedule allows me to be very productive. I couldn't have survived being a wife and mother and managing our home if I didn't have one. This is not a book review. Let me clear that up first. I'll share about how I felt after reading the book Mini Shopaholic. Yes, this is the first e-book I finished. Very pleased I can now read again. I alternate Christian books and serious ones with chick lit books. I had been a fan of Sophie Kinsella since I read her first novel, The Confessions Of A Shopaholic. At that time in my life, I can totally relate to the lead character, Becky Bloomwood. Oh, I learned about the use of credit cards the hard way. I was new at my job, I was young, therefore I was financially broke. Come to think of it, Becky Bloomwood and I, more or less, have gone through the same phase - single, engaged, married, pregnant, and motherhood. While the plot of Mini Shopaholic is light and entertaining, I found myself appalled and in disagreement with Becky Bloomwood's values. I did not like that she had to sugar coat and lie in several occasions. The sad part is she gets away with it. Her "not-so-brilliant" ideas are commended. For me, lying always sends the wrong message, especially when you lie to your spouse. 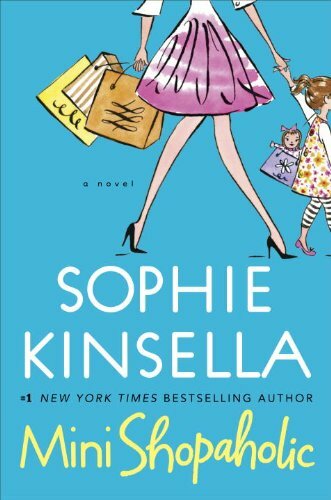 I did not enjoy this book as much as Sophie's first books in the Shopaholic series. I was furious with Becky. "When will she ever learn from her mistake?" was all that comes out of my mouth. I got into thinking, if I had a friend like her, what could I have done? First thing that comes to mind is "unfriend" her. However, if she were a very good friend and if I care that much, I would find ways to help her. The second book I purchased on Amazon Kindle is Small Changes For A Better Life book. So I am back at reading regularly again. The topic of time management does not come at a better time for me. Being a house wife and a full-time mother, I struggle with how I use my time. I feel like I have no control and I end up doing what needs my attention at that given time. When Javi was born, my life had never been as orderly as before. This chapter teaches me to PRIORITIZE. I fail with number 6. As an obsessive compulsive, I make a schedule and I stick with it. Hell breaks loose when the original plan falls apart. Ask my husband how terrible I react when I couldn't do what's in my schedule. Through the years, I've learned that things do not always work out the way I want them to be. This is where thinking od Plan Bs come in. In order to have time for the eight priorities, I need to be more effective. I need to be more like the Proverbs 31 "super" woman. I have to learn to eliminate those that do not contribute positively and constructively to the eight priorities listed. This is one reason why I have not started any of the popular games on the iPad. I have to remind myself over and over again what my priorities are and which order they are as there are times when I forget which I should be investing more time on. My love affair with the latest gadgets began when I started earning my own money. I would save up for a particular item which I think would suit my lifestyle at that time. However, I was not one who needed to have the latest gadget nor the top of the line. I just had to have a phone that works, it did not need be one with the most number of features. I owned a Palm Pilot when it came out. I was thrilled as I felt it put order in my life. I did save up for an iPod Mini when it came out, and it lasted me for years. I waited until I saved enough money to buy those gadgets. I had the iPad on my wish list for quite sometime. There even came a time when I thought I do not need it anymore. And then the iPad 2 was launched. 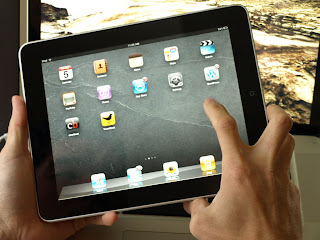 I suddenly realized it would be great to own the original iPad, not iPad 2. I was convinced it is the best time to buy the first iPad as prices would drop. Jed and I agreed we would buy an iPad when we sold our car. I have been using the iPad for almost two weeks. At first, I was so frustrated I wanted to throw it out the window. Me and touch screen do not work together. Oh, and the iPad we got was in Thai. My sister had to guide me - line by line - how to change the language setting to English. And then slowly, I got the hang of it. 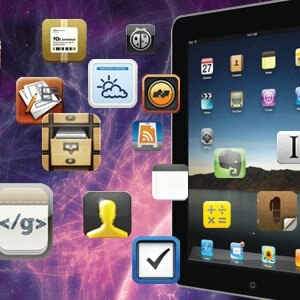 After installing a number of applications, I fell in love with the iPad. 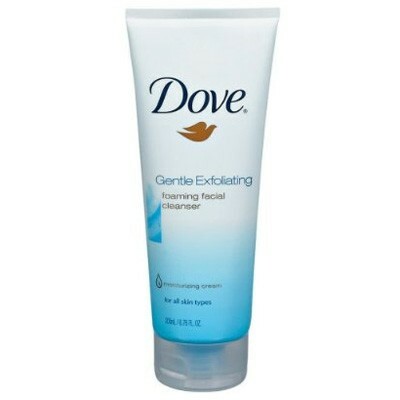 It made my everyday life easier. And I thought nothing could beat my Blackberry, I was so wrong. Mobility. It is light enough to bring with me anywhere. It had been more difficult to use the laptop now that my little boy wants to type on the keyboard when he sees me using it. The iPad can stand on the kitchen counter and I can read updates or watch videos while I was the dishes. It goes with me when I put Javi for a nap. I can read or browse through through the internet. The bigger screen to watch TV shows and movies. I had been watching shows in the small screen of my iPod for years. iBooks and the Kindle applications. Hello again books. Oh how I've missed you! I was thrilled with the titles available for purchase and they are delivered to the iPad immediately. This is perfect for me as I only brought a handful of books with me from Cebu. Then I found it difficult to buy English books here in Bangkok and my guess is they are expensive, too. E-books also means less clutter and fewer books to dust. My first purchase on Amazon Kindle is Rick Warren's Purpose Driven Life. I want to re-read it after 7 years. This afternoon, I finished my very first book which was Mini Shopaholic. The better version of the Bible by You Version. I can easily share verses on Twitter and Facebook. The BlackBerry version had been useful but the iPad version is much better with larger screen so I no longer have to squint to read. NewsRack. I am now updated with every single blog that I follow. So grateful that I don't miss any new entry. 2Do and HomeBudget. I wrote an earlier entry about how these two applications have made my home management life stress-free. Mail. My friend Sam wrote about the efficiency of its e-mail system. It is another excellent tool which saves me so much time. All three of my e-mail accounts are in one mailbox. Applications for kids. As much as possible, I wouldn't want to expose Javi to the internet in his early age. But I use the iPad his educational shows which his Tita Via compiled for him. The storybooks narrates on their own. I particularly like the Toy Story Digital Book - it's a storybook and coloring book in one. When I need Javi to be still for a while, I'd search for videos of his favorite Elmo on You Tube and let him watch. CNN and New York Times. I have never been this updated with what's going on in the world. I am monitoring the situation in Japan through these two applicationa and also via Twitter. Solitaire. I know there are addicting games for the iPad. However, I only open the Solitaire which is my favorite card game. I am afraid to start playing the other games like Plants vs. Zombies or Angry Birds as I may be too focused and may neglect keeping my eye on our very active toddler. I also wouldn't want to lose sleep over those games. I am still exploring and researching which applications suit our lifestyle. The waiting was worth it. The last time I wrote about Small Changes For A Better Life: Daily Steps to Living God's Plan was five months ago. This only means I haven't read the next chapter since then. I had been very bad and just couldn't find the time to read books. It's already March and I have not finished a single book. Now I want to put order and meaning back into my reading life. I finally read the next chapter which talks about ways to pursue one's spiritual growth. In a way I feel this delay in reading has its purpose. Small change #6 is what I am experiencing right now. We are in a new country, joined a new a new church and somehow it is like a new beginning. My drive to grow spiritually is back. God led us to the Grace Bangkok Church. When I found out how small the church is, I was hesitant. I had been used to attending a big church in the Philippines - Catholic churches, KBCF and the Victory churches in the Philippines. Small church means everyone else knows everyone. I cannot slip in the middle of a service and leave quietly like I used to do. Then I trusted God. In my heart, this is the church where He wants me to be. The weeks passed and I felt at ease. I made friends very easily. We felt welcomed. I may be able to join a small group again which will work with my schedule of being a homemaker and full time mother. I missed my small group friends in Manila. I never had one in Cebu. I have no one else to blame but myself for not pursuing it. I also regret not going through a One-2-One session with one of my friends in Manila. I could've attended Victory Weekend before Javi was born. But nothing is too late when one wants to know the Lord more. I found an album in GBC's Facebook when they held their very first Victory Weekend last weekend. It gave me hope! It answered the question in my mind how this small church conducts Victory Weekend. All is good. I will start my One-2-One in the next few weeks. A couple of goals I set for 2010 may happen this year. I knew there is a reason why God chose Bangkok for us. Under W (work out a method and rate for growth), it tells me to start memorizing key Scripture verses. I currently started You Version's reading plan Top Verses to Memorize. Then I'd share the verse for the day in Twitter to remind me throughout the day and share the Word with those who would read my tweet. I have been a full-time homemaker for two years now. I'm not sure what it is with the world today but managing a home is not as easy as before. My tendency is to be a control freak. It is very important for me that every single thing is in order. Otherwise, I would flip out. Yes, I stress about the littlest things. Thankfully, modern technology offers a lot of assistance. I want to share where I get my ideas in coming up with a system which makes my homemaker life manageable. I hadn't been a regular visitor of her website until the time I was planning Javi's first birthday. She has an awful lot of ideas for my son's Halloween-themed birthday party. When we moved to Bangkok, I had almost two months in the hotel which I spent browsing through her site picking out ideas how I'd like to arrange our soon-to-be home then. I even choose recipes which I saved in PDF file so it's ready for printing when we finally move to our place. 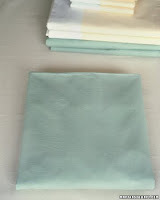 I read on about how to clean, organize and keep one's home in order. 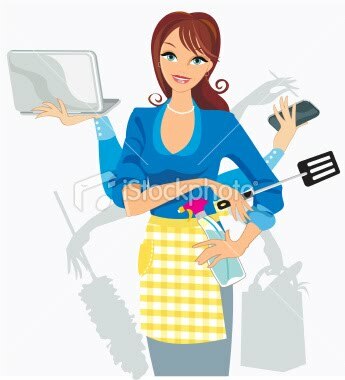 She made household chores seem glamorous and fun to do. I have yet to learn how to fold a fitted sheet. 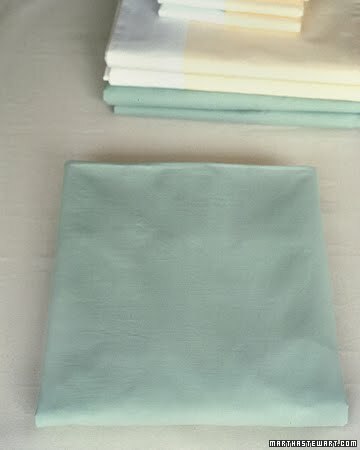 Who wouldn't want their fitted sheet to turn into this from this? I have been a failure at menu planning until very recently. My girlfriends had helped me but I just can't seem to create my own menu planning system. I almost gave up. I was trying too hard and thinking of menu plans that will last for a quarter. No wonder I wasn't making progress. And then I found the Org Junkie's templates for Menu Planning and Grocery List. Her format was perfect for me. I appreciate how the list of dishes are all on one side and the grocery list on the other half. It even has a line where you put your source of recipes. I had been using it almost a month. I would pick out a recipe book on a Friday and pick out dishes I want to cook for the following week. To make my life easier, I made my own guide of cooking one protein/meat per day - chicken, pork, beef, fish/seafood and lots of vegetables. So far so good. Laura of OrgJunkie is an organizing nut like me. I think I clapped when I found her website. She is now included in my RSS reader. The second area where I am a failure at is maintaining a record of our finances. I was so good at keeping track of my money when I was single. But now that I am married and a mother, nothing seems to work for me. Of course, I needed help. I tried out this application in iPad and it has been my savior. I know it's a good application when I can figure things out on my own without having to resort to Google for my next move. I tried the lite version and now upgraded to the pro version as it was working perfectly for me. You simply log the numbers, customize the categories and subcategories and voila, it shows me our running expenses, what's left of our money, and it also reminds me when bills are due. It's like having your own finance manager at home. My best buddy is my small notebook where I jot down everything. I have several checklists and to-dos. That's how I live by. And when I became a mother, I learned I have to put everything down the minute I thought about the task or whatever it is because I will definitely forget what the heck it is. So one of the first apps I looked for to install in the iPad is a To-Do application. I looked around and 2Do caught my eye first because of the different colors. I have tabs for my To-Dos, Irma's Lists (list of books I want to read, movies I want to see), Shopping Lists (the actual To Buy list, my Nice to Have list, and my own wish list. It's not as easy to use as Home Budget. I still don't know how to rename the tabs. Fine, maybe I need to Google it. I was sold by Toni's tagline. She is a stay-at-home wife and mom to 7 children. And she homeschools her children. Talk about credibility, right? I tried her recipe for Garlic Shrimp and Spinach Pasta and it was delicious. 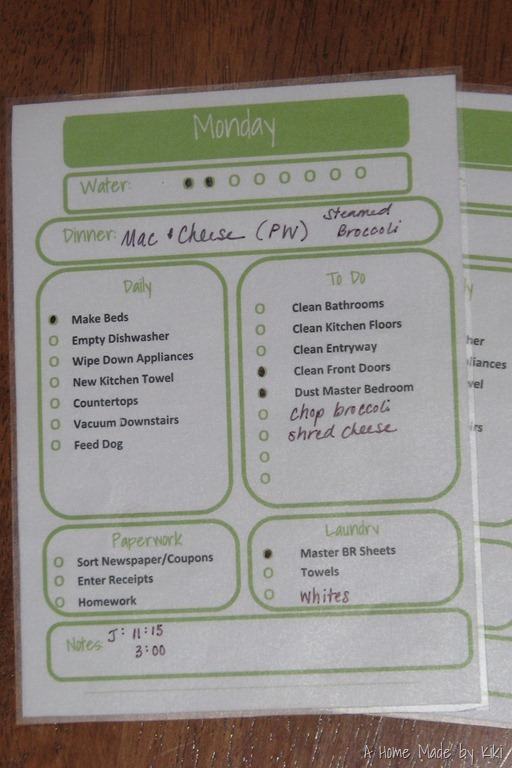 Taylor of Household Management 101 gave me the idea to keep a Household Notebook which will keep the family's schedule, calendar, cleaning and chores, home maintenance, my menu planners, and other similar items. I'm still working on ours. Well, I bought the three ring binder and the slots where I put documents, checklists and guides. I may need a year to finish everything. It is pretty overwhelming so I'm taking it one at a time. Staying at home being wife and full-time manager is not as simple as before. And yes, I am pretty techie when it comes to home management. That's what works for me.